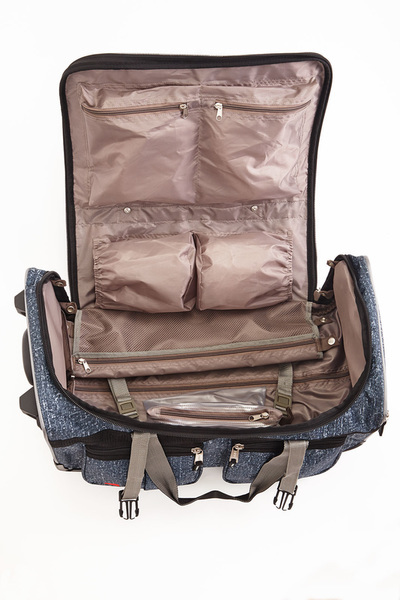 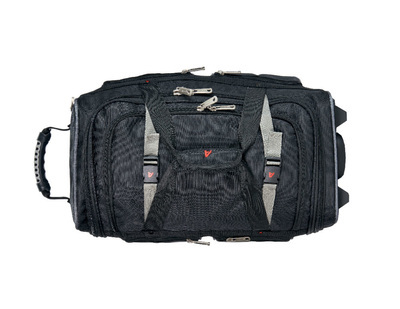 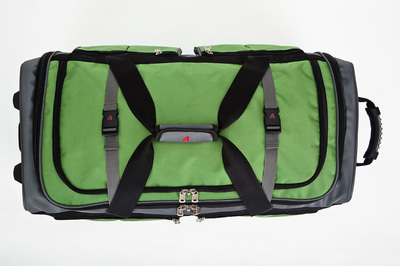 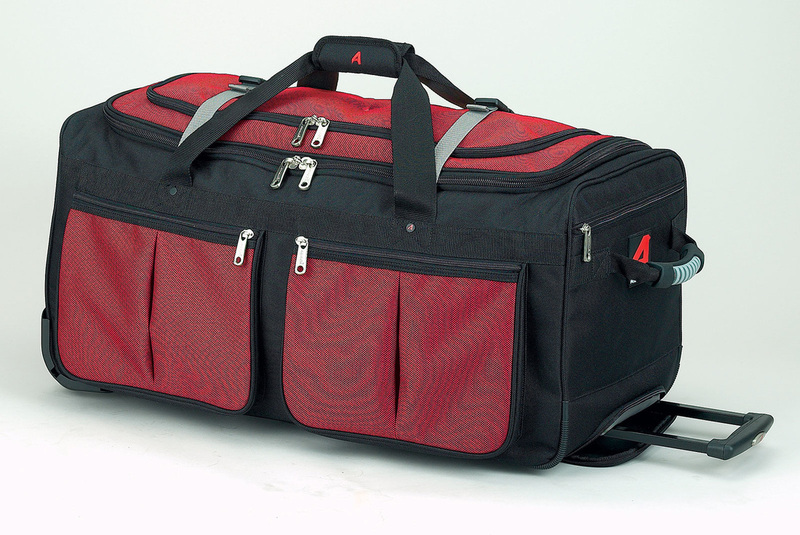 Pack for your next adventure in this multi-pocket wheeled duffel bag from Athalon. 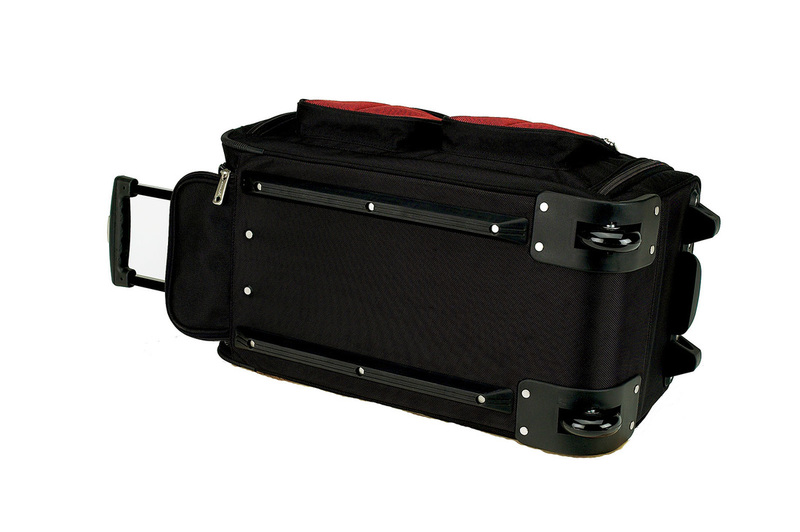 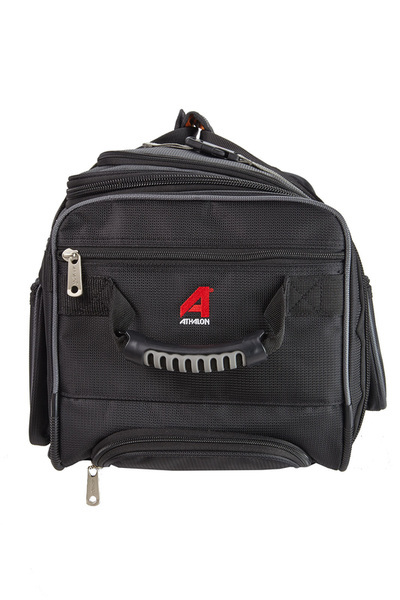 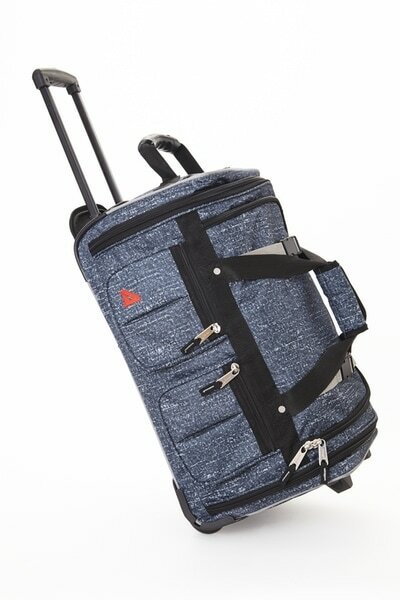 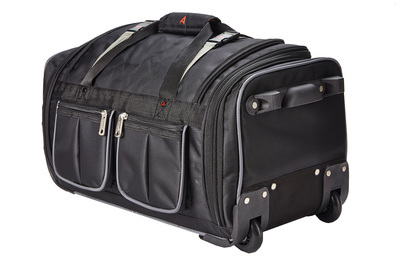 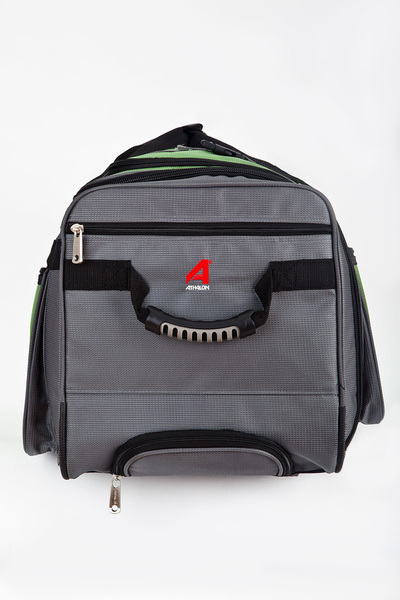 The Athalon 15-Pocket 29" Wheeling Duffel bag is constructed from high density polyester with a durable ballistic nylon bottom, a telescoping handle, and large ball bearing in-line skate wheels for excellent mobility. 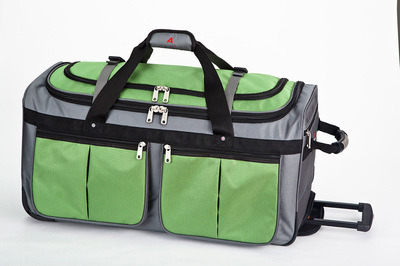 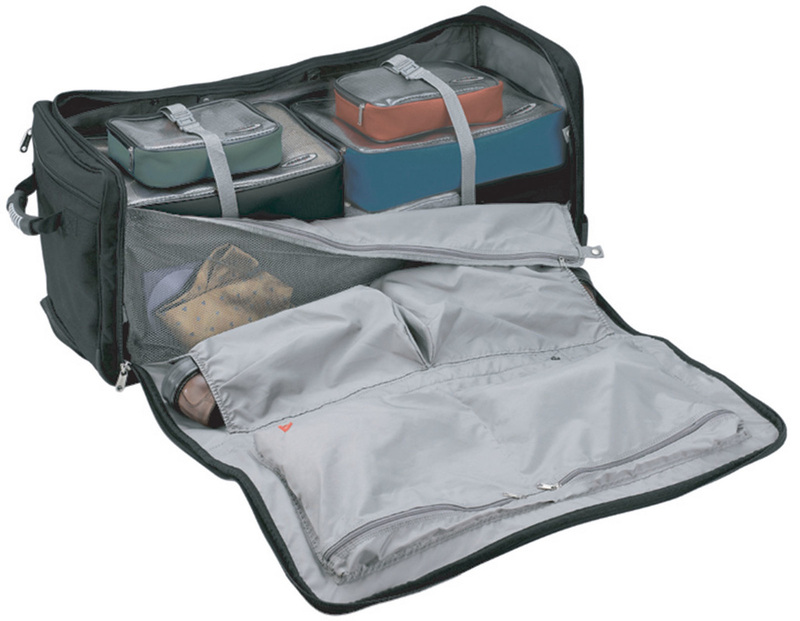 This lightweight and rugged duffel bag has a total of 15 interior and exterior pockets for organization and offers a way to pack and store all of your large and small items with ease. In addition to the roomy main compartment for clothing there are shoe pockets, zippered accessory pockets and roomy exterior pockets for small, personal items. 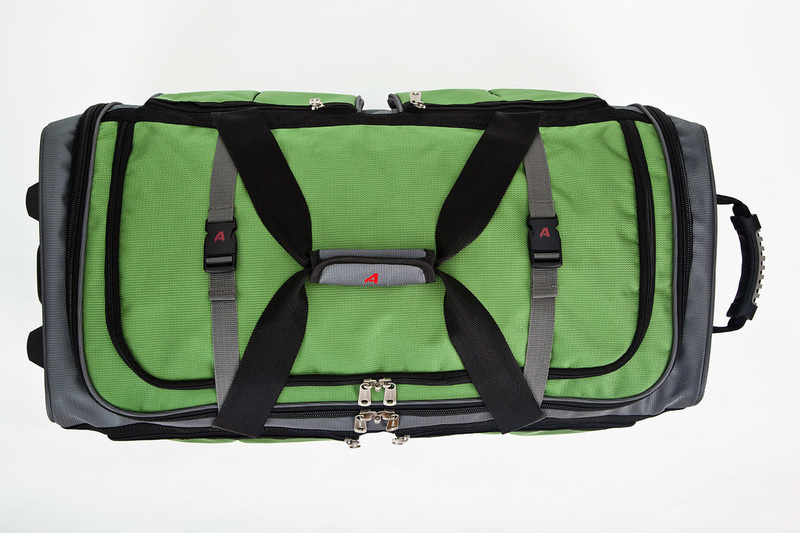 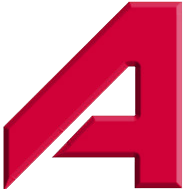 29" x 14" x 13.5"